I originally posted this recipe back in the fall of 2014. But it’s so easy and tasty, I thought I’d reshare. I make a batch (or double batch) at least twice each fall. I think I may be the last person to jump on the donut bandwagon. I’ve never been a huge fan of donuts, so I’ve avoided making them the past couple years, despite their increasing popularity. 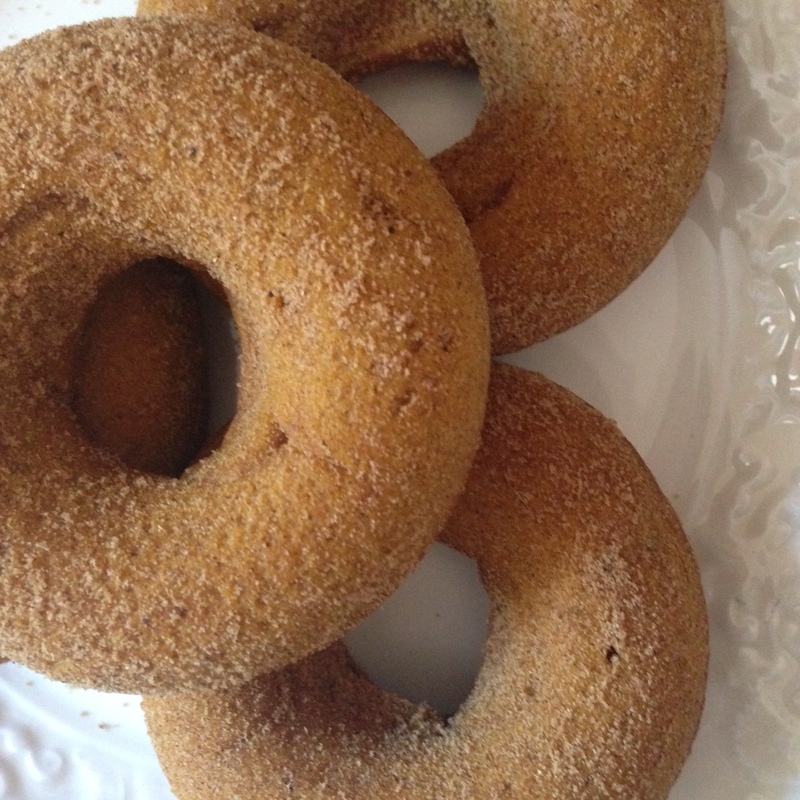 But I’ve come across several appetizing donut recipes and pictures lately, and I finally felt the calling and ordered my own donut pan. 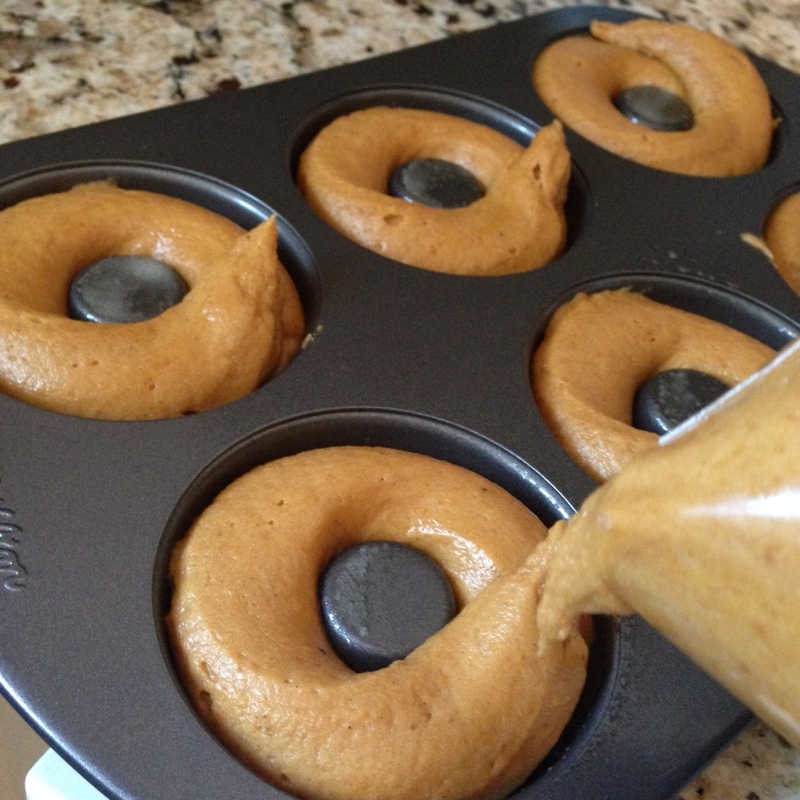 With the official welcome of fall last week, I knew I had to usher in the new season by baking something pumpkin, and donuts seemed like a good choice. I didn’t have the time (or, quite honestly, the brainpower) to figure out how to make them paleo, but I did make a recipe sans gluten, dairy and refined sugar. After the boys scarfed down my test run, I decided to call it a day and vowed to try a paleo version this fall. I took two batches of these donuts to my Thursday morning bible study, thinking I had made enough, but there were only crumbs left. Never underestimate the power of pumpkin on a group of women! 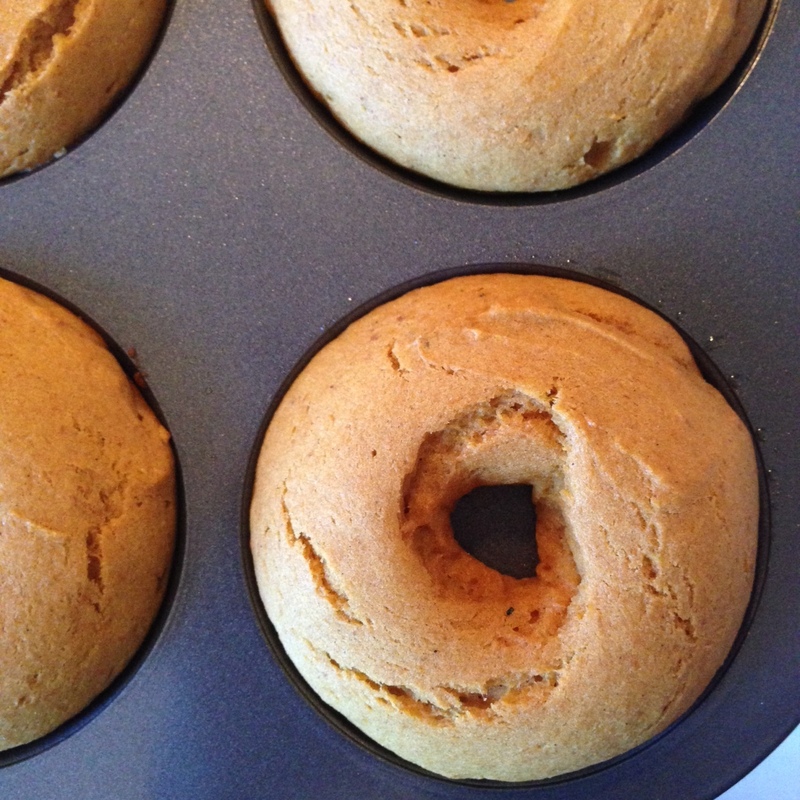 I’m taking this reaction as a good sign that this pumpkin donut recipe is share-worthy. 2. In medium bowl, beat oil, eggs, sugar, puree and vanilla with hand mixer. 3. Add in remaining ingredients and blend until smooth. 4. Fill greased donut pans roughly 3/4 full with batter. (I put my batter in ziplock bag, cut off the corner and piped it into the pan.) This makes roughly 10 donuts. 5. Bake at 350 degrees for 12 to 13 minutes. 6. Meanwhile, in ziplock bag, combine pumpkin pie spice and a few tablespoons of coconut sugar. 7. After donuts have cooled 8 to 10 minutes, then place one at a time in bag and gently shake to coat donuts with sugar mixture. 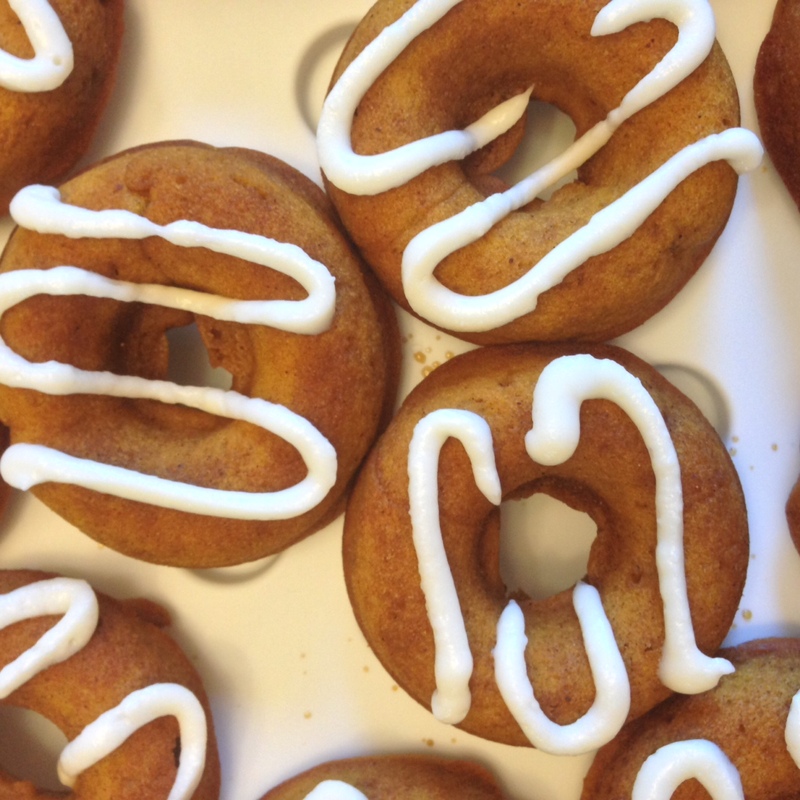 I also chose to ice one batch of these donuts with a cream cheese glaze. Cream cheese + pumpkin = perfection.